CMS maker Squarespace is presenting a project that puts John Malkovich in the shoes of David Lynch and his characters. 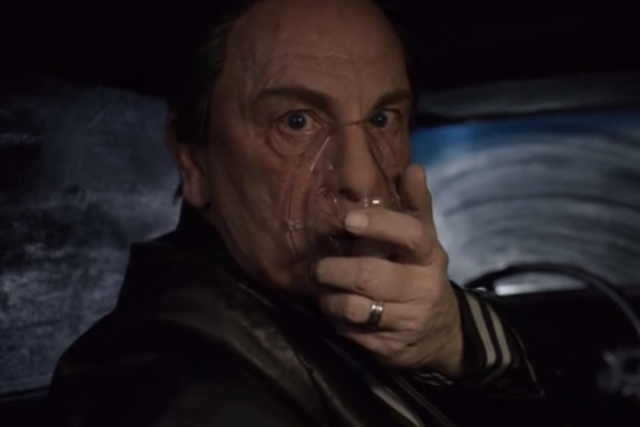 PlayingLynch.com shows the veteran actor playing roles like the Elephant Man, Twin Peaks’ Log Lady, and Blue Velvet’s Frank Booth in a series of vignettes. The clips are scored by musicians Lykke Li, The Flaming Lips’ Wayne Coyne and Steven Drozd, Zola Jesus, and Sky Ferreira. All of the artists covered music from Lynch’s filmography for The Music of David Lynch, an album that dropped back in April. Squarespace’s multimedia art contraption exists to promote the project (and, of course, itself). Proceeds from sales are directed to the David Lynch Foundation, which works to bring attention to transcendental meditation as a healing source for at-risk populations. Watch John Malkovich’s Lynchian showcase here.